When it comes to giving chocolates, I am really picky. The chocolate has to be smooth-textured and high quality. And lately I’ve been partial to unique flavorings and fillings. Plus, our family has been going soy-free in recent years, making a great chocolate harder to find. Fortunately, Alter Eco delivers on all those points. Silky smooth in texture, and organic, fair-trade quality, their truffles and bars are meltingly delicious. Add pretty packing and intriguing flavors like Dark Quinoa and Dark Brown Butter bars (not to mention their scrumptious sea salt truffles made with coconut oil!). They are a clear winner for a Valentine’s gift. 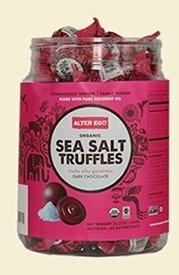 Find Alter Eco chocolates on Amazon (affiliate link), or at your local Whole Foods Market (so great if you’re a last minute gift shopper!). I’m the type of girl who is thrilled to get chocolates (and flowers) for Valentine’s Day. Chocolate (fine chocolate!) never gets old! I spent five years working at a chocolate store, so… I know! And strawberries smothered in chocolate? Yes, please! 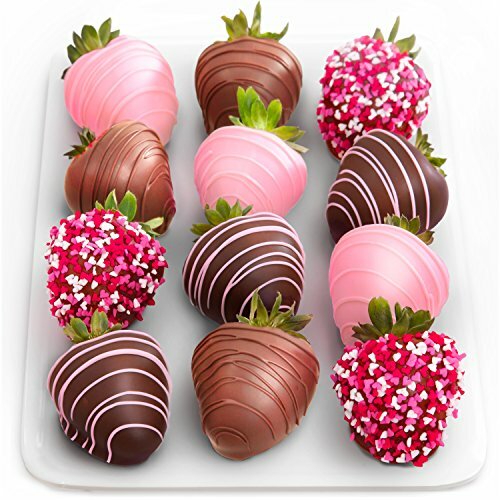 (Hint: chocolate covered strawberries are a great Valentine’s Day gift for him!). Heart-shaped, red sweet treats from nature are made even better when paired with milk, white, and dark chocolate like Shari’s Berries. (Okay, I’ll be honest, I don’t like white chocolate at all, but it is pretty!). We tried the Cheesecake Trio and Full Dozen Gourmet Dipped Fancy Berries from Shari’s Berries. Mmmm. MMMMM!! The Fancy Berries come in white chocolate with chocolate drizzle, dark chocolate with chocolate chips, and milk chocolate with nuts. DE-lightful! I’m not sure whether to be sad that you have to eat all those strawberries within 48 hours (parting is such sweet sorrow). Or glad (never too much of a good thing!). Food is another classic choice for Valentine’s Day. Go for unique food gifts! Gourmet Gift Baskets has hundreds of themed baskets and tins featuring a range of treats both sweet and spicy! 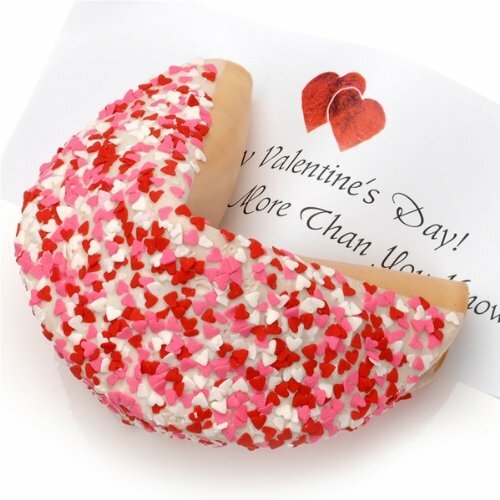 Chocolate covered Oreos or Strawberries, giant heart-shaped chocolate chip cookies, popcorn tins and so much more! The His & Hers Popcorn Tin is has spicy Buffalo popcorn on one side and Pink Himalayan Salted Caramel popcorn on the other. What a fun combination of savory and sweet for love birds to share! It’s perfect paired with some DVDs or gift cards for rentals! $24.99. The Valentines’ Day Cookie Gift Box is filled with a variety of cookies that are soft and delicious! Chocolate Chip, Fudge Brownie, Lemon Sugar, Oatmeal Raisin, Peanut Butter and even Pecan Sandy – there’s a flavor for everyone inside. I love how the cookies are packaged in pairs, so great for couples to share! $29.00 at GourmetGiftBaskets.com. How about a healthier chocolate gift? 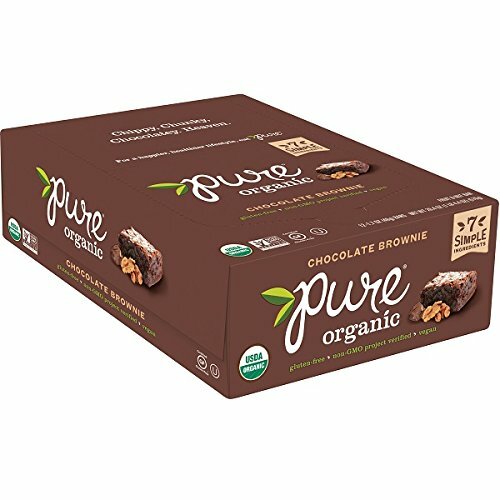 Pure Organic has better-for-you chocolate snacks that are decadent and full of healthier ingredients! 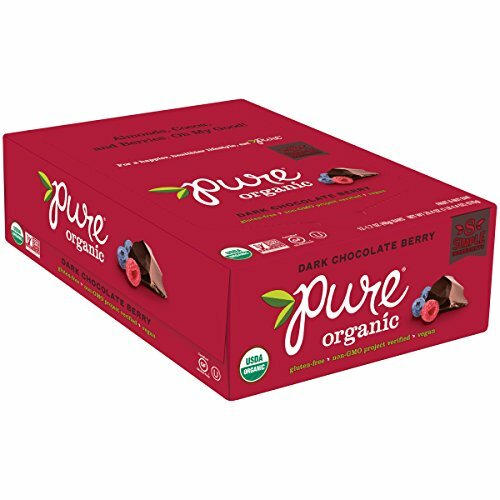 Delicious Pure Organic Chocolate Brownie and Cherry Cashew Fruit & Nut bars make the perfect gift for the guy or gal on your list. How about celebrating “Galentine’s” with your bestie and a handful of these chewy, chocolatey bars? They taste like a brownie, yet are filled with nuts and dried fruits so they are full of protein and fiber too! And always made with organic, non-GMO, gluten-free, vegan and kosher ingredients. Now THAT’s a treat! Hearthsong always carries a unique line of gifts and ideas for kids (of all ages). 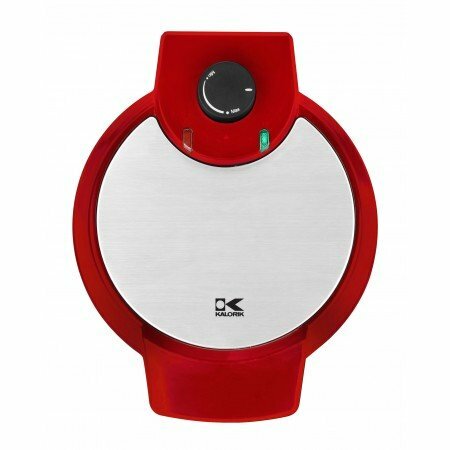 The Kalorik heart-shaped waffle maker comes in a lovely red color. The heavy-duty waffle maker has six browning settings for just the right “crisp” to your waffles, and it will alert you when the waffle is done! Nothing says love like a homemade breakfast for the kids… or an oversized dessert after dinner! Or, how about making a chocolate Valentine’s house together with the kids!? Assemble and decorate a tasty dessert house with the included silicone molds, decorating tips, and instructions. This could be a delicious family tradition! (Ingredients not included). Keep it simple this year and gift delicious treats to everyone you love! Whether you just tuck a small chocolate bar into a card, or hold a family treat-making tradition, everyone will love these Valentine’s gifts for foodies! I received promotional samples from the brands mentioned to facilitate this post. All opinions are my own. Love (hee hee) these simple Valentine’s gifts. There is no need to overthink! PS. Good job on the photo A.!